Another day, another review of whisky I liked in the past up to the point I had a bottle but never took notes and this time it’s Glenmorangie Signet. Glenmorangie Signet is the only NAS whisky in the core line up (the annual Private Edition notwithstanding) and it features some percentage of heavily roasted chocolate malt in the recipe. The chocolate malt is used a lot for beers but rarely for whisky as the yield is far below the commonly used barley strains in the industry. But it does add some different flavors to the whisky. Nose: Light and gentle fruit sweetness (as expected from a Glenmorangie), malt, charred malt, and dark chocolate, floral fragrance and honey. It’s rich but could be a real bomb with an higher ABV (not that 46 is bad mind you). This entry was posted in Whisky Reviews and tagged Glenmorangie on August 10, 2018 by Yoav @ Whisky Gospel. A weekend full of Glenmorangie news. After we reported on the new label design of Lasanta, a new Glenmoangie label reveals the Tenth Glenmorangie Private Edition: Glenmorangie ALLTA is the next edition and we probably can expect it in January 2019. Also notable that the ALLTA label shows a deviation from the standard Private Edition ABV of 46% and sports ABV of 52.1%. This entry was posted in Industry News and tagged Glenmorangie on July 1, 2018 by Yoav @ Whisky Gospel. Did Glenmorangie’s new design also break through a Rabbinical wall? This entry was posted in Industry News and tagged Glenmorangie on June 29, 2018 by Yoav @ Whisky Gospel. Glenmorangie Astar (Gaelic for “journey”) was first released back in 2008. Casks from oak growing in Missouri Ozark mountains which are slow growing variant were used to mature this whisky. Such casks aren’t very common (and some would say they are scarce), couple that with the fact that Dr. Lumsden isn’t too much in favor of cask strength releases, and you can understand why it took lots of public demand and additional 9 years to get together another edition. The 2017 Astar was bottled at 52.5% (far below the 57.1% strength of the 2008 edition), isn’t chill filtered and comes with natural color. This entry was posted in Whisky Reviews and tagged Glenmorangie on March 26, 2018 by Yoav @ Whisky Gospel. Last week Glenmorangie has launched the ninth edition in their Private Edition, The Glenmorangie Spios. Unlike previous years, this edition isn’t a wood finish but a full maturation release. Glenmorangie Spìos (‘spice’ in Gaelic), was fully matured in casks that held rye whisky for 6 years. According to Dr. Bill Lumsden (Also known as Glenmorangie whisky boss), that whisky contained 95% rye so an educated guess would say those casks were sources from MGP Distillery (Indiana, USA), The casks were toasted, and following a lightly charred were filled with Glenmorangie new make that matured in the casks for 7-9 years. This entry was posted in Whisky Reviews and tagged Glenmorangie on February 5, 2018 by Yoav @ Whisky Gospel. Tasting and reviewing the Macallan Sienna, got me craving for some whiskies I didn’t taste in a long time. Yeah, you can definitely become nostalgic for drams you tasted earlier in your whisky journey and aren’t in your whisky cabinet at the moment. 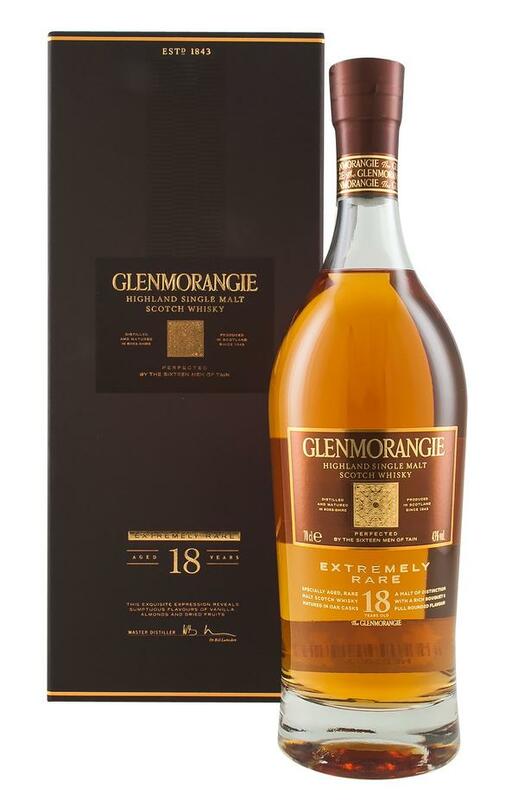 Nose: That sweet and delicate Glenmorangie profile is up-front here, barley sugar, sweet honey, vanilla, citrus, Brasil nuts and walnuts, a pinch of white pepper and cinnamon, pears, rich and velvety coupled with dry oakiness. Palate: Sweet velvety honey, then pears and granny smith apples peels, some sour greenery, oranges, barley sugar, ends with spices mostly white pepper and gentle oak spices, gentle nuts mix bowl. Finish: Medium length, lingering sweetness, pears drops, nuttiness , oak spices and white pepper. Thoughts: Solid offering from Glenmorangie with the trademark flavor profile of the distillery we all know from the 10 Year Old with added spices and time effect. While it’s not exactly Extremely Rare nor a groundbreaking whisky it’s still a nice 18 year old that competes successfully in this age bracket. This entry was posted in Whisky Reviews and tagged Glenmorangie on October 17, 2017 by Yoav @ Whisky Gospel.